Another service I offer is that of food photography. Now I really don’t want to be a jack of all trades – I certainly won’t be photographing weddings and babies anytime soon – but food photography ties in very well with my work as a specialist interior photographer. I was constantly being asked by the owners of the hotels and restaurants that I was photographing, if I could offer this service. I completely understand the logic of professional food photography. Many establishments still use stock photographs but of course, its so much better to show exactly what your kitchen or chef can deliver. The food you produce is unique and personal to your business and high quality images will undoubtedly reflect your values and give your guests a direct insight into the kind of quality they can expect from you and give a good reason to make a booking. Good quality food photography requires a special set of skills as well as a comprehensive set of specialist equipment and it’s an area in which I particularly enjoy working. As ever, I’m most happy to chat about your requirements so please, just phone or email. One of my clients, Debbie Martin, who owns Pilrig House Apartments in Edinburgh sent me a link to the ‘Vaction Rental Marketing Blog’. Now this is run by a chap called Matt and its been featured on CNN, Business Week and the US News & World Report among other publications. Matt is highly regarded in the holiday rentals world and regularly writes columns for Flipkey and the HomeAway group. Matt had advised Debbie to have her apartments professionally photographed and I did this for her last year. She was really pleased with the results and had contacted Matt to let him know how it went. Matt went on to write a nice piece on his website about my work titled ‘Vacation Photographer Test: Before and After’. So if you have not invested in professional photos, what are you waiting for? Unfortunately Matt was not able to mention my name directly (though I think Debbie has been shouting it from the rooftops on my behalf!) but it simply reiterates my point about good interior photography being an essential marketing tool. You can read the whole article here and this includes a full set of before and after photographs. As mid-level hotels struggle, self-catering holiday homes are the success story of UK tourism. We look at what's driving customers their way - campers sick of wet weather? Or people trading down from overseas trips and British hotels? And what's the impact of the success of holiday homes on rural or coastal areas - especially when they make up a significant proportion of local housing stock? Do they block affordable housing and price new buyers out of the market? Do they create "ghost villages" which are almost empty out of season? Or should we credit them with bringing in the visitors and money that help small communities survive. 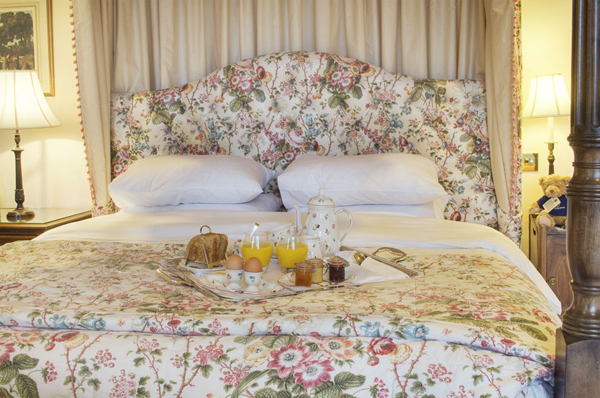 One of the most popular photos I am asked to take is the ‘Breakfast in Bed’ shot. Whether it’s a hotel, B&B or a holiday cottage, everyone seems to ask for this photo to be set up. It sums up the kind of relaxing visit that you want to portray for your potential guests. 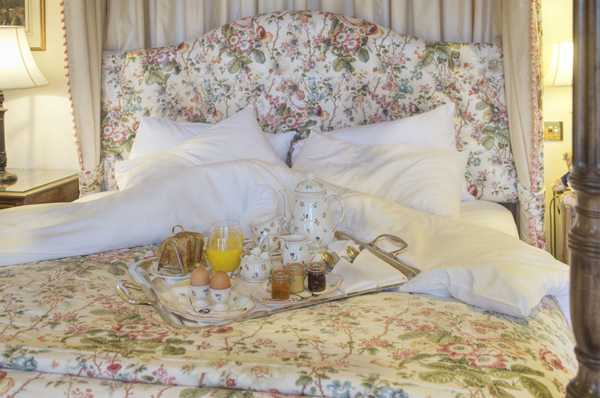 The dilemma is: does the bed stay pristine and perfectly made or do I photograph it in an unmade state, as though someone is actually about to enjoy breakfast in bed? Nearly all of my clients prefer the bed to be in an immaculate state as it shows the bedroom of to its best. However I was recently commissioned by a PR agency Porter Novelli to produce photographs at The Roxburgh Hotel near Kelso. MD Angela Casey particularly wanted to try both styles and the results can be seen below. Personally I prefer the more natural look of the unmade bed but judge for yourself.